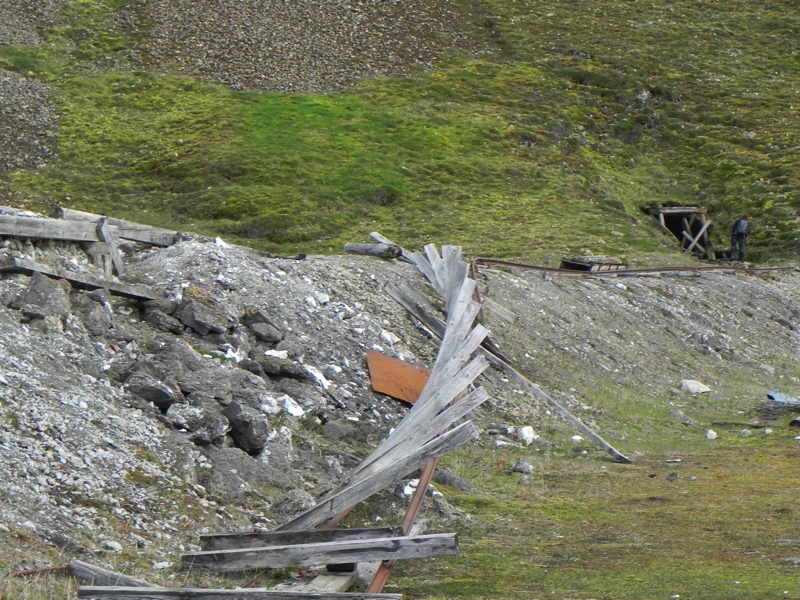 Despite having recently left the Russian archipelago Franz Josef Land, John found an intriguing remnant of Russian history during his visit to Svalbard. Here is more about what he encountered during his final two days on the kind of Arctic cruise you can book with our wildlife travel specialists. This was our last day on board. 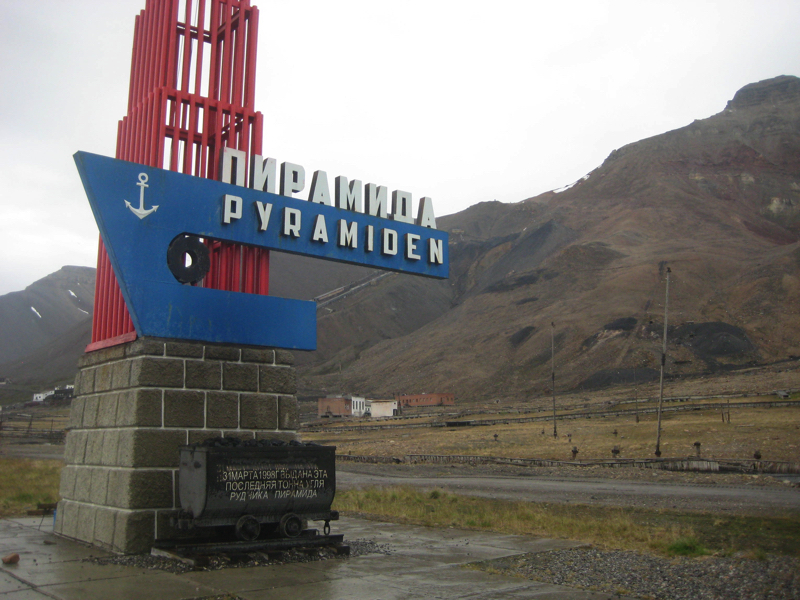 In the morning, we spent time walking around the abandoned Russian mining settlement of Pyramidan. 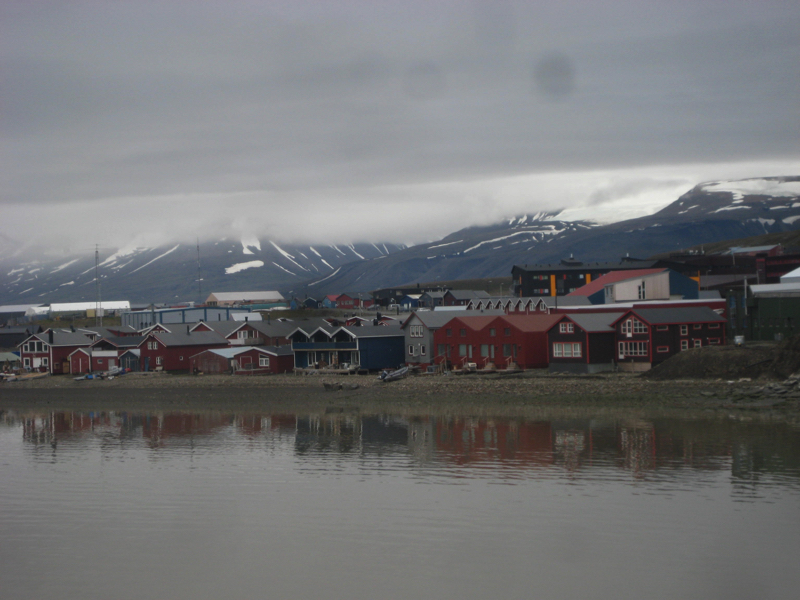 Although Spitsbergen is Norwegian, it has a special status – and other countries with a historical stake in the island still have rights of residence and other activities there, including mining. There are two such Russian mining areas on the island; this one was in operation until about 1998. It then fell into disrepair; however, many of the buildings have been partly restored in recent years. In its day, it was a model Soviet settlement with a school, fully-equipped sports centre and rare heated indoor swimming pool. We had a look around these buildings, most of which still look like everybody just walked out a few weeks ago. 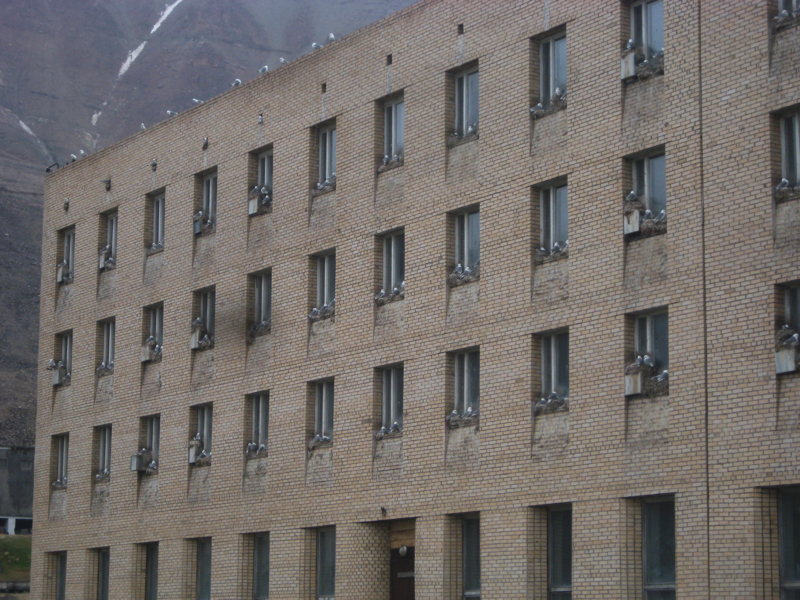 The outside of one of the accommodation blocks, however, has become a ‘cliff’ for nesting kittiwakes, whilst there are also wild reindeer roaming the outskirts. As the canteen remained manned, we called in for a rather smooth shot of vodka. We enjoyed an interesting final excursion that afternoon. Billed as a steep climb rather than a hike or walk, it turned out to be a very steep scramble up a near-vertical slope of loose scree and soft tundra. Most people sensibly gave up a little over halfway. However, of course, I – along with 5 others and our mad Russian ‘guide’ who had not actually been up there before and had just heard about it – continued up to see this ‘spectacular’ waterfall trickle emerging from the sheer rock face. We perched with friable footholds looking at the, admittedly, beautiful scene across the fjord and the red dots of our now quite relieved companions on the shore below. We were back down more quickly than on the ascent and felt, actually, a little smug – despite the wobbly limbs and scratched hands! Before dinner, we had an excellent slideshow with a compilation of images that the expedition photographer had taken and featured all of us and the places and experiences enjoyed. Then, a pleasant evening in good company, brought to an abrupt halt when we docked at the pier and our ‘barmaid’ rang a bell to tell us that no more drinks could be served. We were back in Norway and that country has some quite strict alcohol sale/consumption laws! 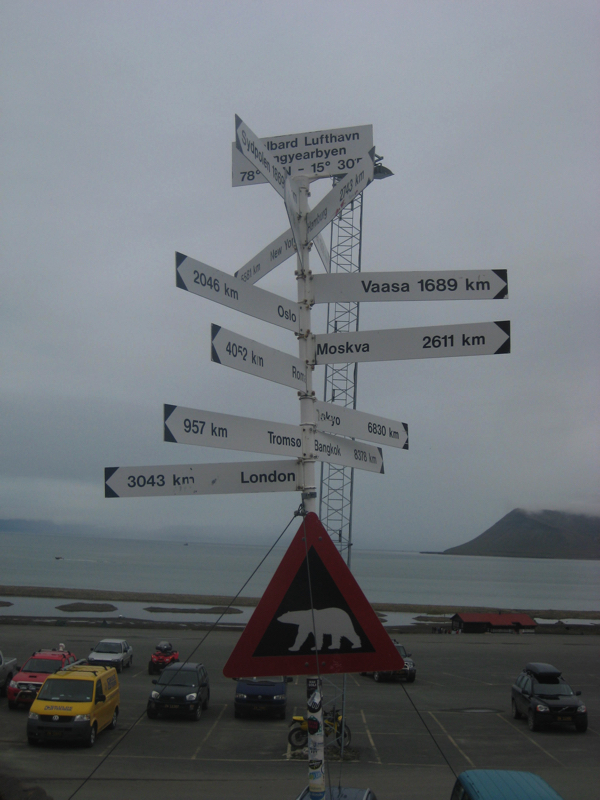 After breakfast, we disembarked and went by bus to the airport to wait for our flight from Longyearbyen to Oslo. The departure lounge was absolutely chocker with passengers from our ship and the Ponant ship, which also disembarked that day. Most of their passengers were on a charter to Paris, whilst the rest of us were on the very full flight to Oslo.